This is a problem with genre storytelling that goes far beyond tonight’s Arrow, but now is as good a time as any to say it: Man, I really wish shows would let the heroes get a proper win sometime. In theory, “Honor Thy Fathers” sees Team Arrow score a major victory, foiling the plot of Adrian Chase and his henchman Derek Sampson, with Oliver’s revelation about Justin Claibourne enough to get Prometheus to submit on the spot. But those accomplishments don’t carry a whole lot of weight when there’s Adrian at the end, smirking in his cell and looking an awful lot like this is all part of some larger plan. And sure, anyone who watched the promo for next week’s episode over the closing credits knows that a major reversal of fortune is coming. Indeed, the simple fact there are two episodes left in the season means Adrian Chase can’t be done just yet. That’s all fine. But where Arrow (and a whole bunch of other TV shows and movies in similar situations, as there’s plenty of guilt to go round here) gets frustrating is in making it appear as though it’s impossible for Team Arrow to ever really get the upper hand on Adrian, even temporarily. The show has decided to depict him as nigh omniscient, as he appears capable of anticipating and countering every possible move the team can make. He always has a ludicrously complex trap waiting for them, as with the room of concrete tonight, and he always sees any gambit coming a mile off, as when he uses his father’s old lawyer to pass psychologically damaging information to Oliver and Thea. This presents a pair of storytelling challenges. The first is that it becomes damn hard for the show to pull off a successful misdirection with Chase seemingly being beaten. Sure, it looks like he is legitimately surprised when Oliver laughs at the mention of him carrying out his father’s legacy, but would he really be so careless as to not extract all possible information from the lawyer ahead of time? After all his impeccably plotted, shamelessly byzantine schemes, would his effort to weaponize tuberculosis really be as simple to stop as it proves to be for Team Arrow, as Sampson and his henchmen don’t prove to be a particularly difficult threat to deal with. None of that feels consistent with the Chase we’ve met over the course of the season, so it’s hard not to reject these developments out of hand, to not see the final twist coming. Maybe Chase really was defeated for a second there, in which case the ease of the victory doesn’t track with his development. Or maybe he was faking all along, in which case the show still didn’t set up a sufficiently compelling false win for Team Arrow to fool the audience. This gripe aside, ”Honor Thy Fathers” is a very good episode of Arrow, and a worthy part of the larger endgame. The conclusion of the episode is symptomatic of Arrow’s far from unique reliance on backloading the heroes’ victory, with the premise being that every defeat along the way will make the eventual victory all the sweeter. And yes, it’s possible to build successfully to such a pay-off, and I won’t rule out that Arrow will get there in the final two weeks. Right now, though, it feels like Chase has been made too overpowered for any eventual defeat to be believable, and Team Arrow has been so consistently outflanked that they risk damaging their credibility; the mere fact they celebrate the win instead of reflecting on how easy it was is a little suspect. For what it’s worth, these struggles in building up a powerful villain while also keeping the underdog hero credible enough to eventually win would probably sound all too familiar to a professional wrestler like tonight’s returning guest star Cody Rhodes. Again, this is a storytelling problem that transcends this one particular episode. I realize I’ve devoted a decent chunk of this review’s real estate to sussing out this issue, even though it’s a relatively small part of the episode. That’s because, much like the season’s handling of Felicity, this is a structural issue that has been at play with a lot of the Chase storytelling this season (and a lot of how the show has built its season-long villains in general), and because, well, the rest of “Honor Thy Fathers” is just generally solid and good in the way a lot of Arrow episodes this season have been. 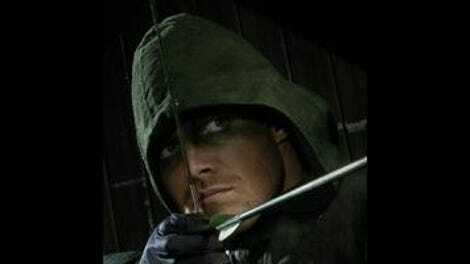 The show once more puts the more emotionally balanced Oliver Queen to a serious test as he is forced to reckon with the knowledge that his father was a murderer. Which, as he briefly acknowledges, he already sort of had to know was the case, given his father’s complicity in Malcolm Merlyn’s undertaking, but the episode is generally smart about having Oliver be brought low by the news about his father while still being open to Thea and Felicity’s words of wisdom. Indeed, the return of Thea is generally a boon for the show. It makes sense to bring her back now, given her non-biological father proves to have a skeleton in his closet (well, in his concrete, but who’s counting) to rival at least a thousandth of what her biological father has going on. Willa Holland’s great asset is that her character feels defined and multifaceted enough that she doesn’t merely come across like a returning guest character, but rather the crossing-over star of her own show. There’s a presence to Thea that doesn’t immediately subordinate to Oliver in the narrative, which admittedly makes it a bit irritating when her dad’s posthumous comfort to her is all about Ollie. But oh well: She’s the one who gets the vital information out of the lawyer by turning up the heat on him during questioning, and she’s the one with self-awareness enough to know it’s better to keep the past in the past and not suit up again. Thea, as ever, is the best. Everything else is solid, if a little ill-defined. I’ll admit that as a big wrestling fan, there’s probably no amount of Cody Rhodes as Derek Sampson that would satisfy me, but even adjusting for that his return feels a tad undercooked, with him not even getting a proper rematch with Oliver. There’s an interesting possibility to play up the theme of team-building here: Oliver wins the day because he has built a proper team for himself, while Chase loses because he’s employing a bunch of psychos with no particular loyalty to or interesting in what he’s doing. That just doesn’t appear to be the kind of thematic depth to which Arrow aspires, which is fine; the show is under no obligation to be anything other than what it’s trying to be. “Honor Thy Fathers” just appears a tad too content to be simple and straightforward when a little complexity, a little willingness to dive deeper or wander off the path could be useful. Hell, Oliver’s decision to become the Green Arrow again happens during a commercial break, with no soaring montage of him putting the suit back on. This is a version of Arrow far more workmanlike than the show is at its best. None of this leaves me worried for the last two episodes, but there’s no particular reason for the third-to-last episode to play out in quite so minor a key. Rene’s story takes a heartbreaking turn tonight with him no-showing the custody hearing. I’m surprised Lance’s poor heart could handle hoss letting him down like that, honestly. Based on what Oliver and Anatoly agree to, we’re now 48 hours removed from the very start of the first episode, with the (fake, it turns out) bearded, long-haired Oliver being found by a boat. It’s a fun gag to have the show acknowledge Oliver was wearing a wig in the universe of the show just as much as Stephen Amell was five years ago. Oh, and Dolph Lundgren is about to make those final two days absolute hell for past Oliver, so that should be fun. Whatever other issues I might have with tonight’s episode, I have never been prouder of Mister Terrific than when he deactivated that bomb. Nice work, Curtis, nice work. If just for that moment, we were all terrific.